The Dungannon cueman squares up to Antrim’s Jordan Brown on Saturday in a repeat of the 2013 Northern Ireland Championship final at the Pot Black club in Cookstown and, if he wins it, he will have taken home the trophy for an amazing magnificent seventh time. 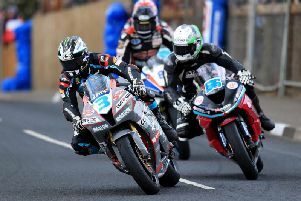 After two Sundays of wall-to-wall action at the Burn Road venue, the last eight came together earlier in the week and there were wins for Wallace, Brown, Julian Logue and Sean Gray. Wallace lost two of the first three frames but then stormed home in five on the spin for an impressive 6-2 victory, while Brown defeated Coleraine man Logue, a former champion who had been in sensational form in the previous round. “Julian had been playing incredible but he never quite got into the groove against Jordan, but everyone is raving about the quality of the tables inthe Pot Black club, as I has confidently predicted they would be. And we are hoping the final will be one to remember because the conditions deserve that” stated Wallace, who beat Brown 10-4 in the decider two years ago will start a warm favourite to set a record which should last for many decades. The action starts at Pot Black at 10am on Saturday. It’s best of nineteen, with a one-hour lunch break after the first nine frames have been completed.